Hello again! Yes I am back, to talk more about Universal in Florida! 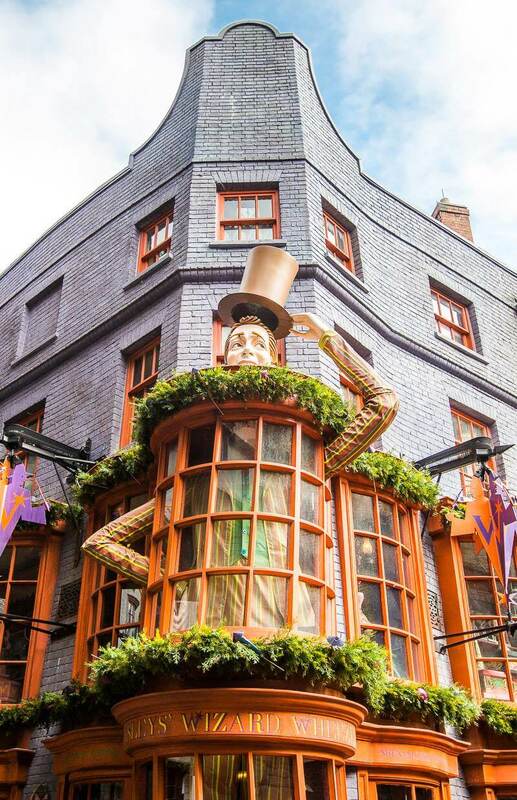 In my Islands of Adventure post, I confessed that I’m a HUGE HP, ( Harry Potter) fan. ( but I’m sure you already knew that though- lol.) So let’s talk about that magical greatness!! People mostly go to a theme park for the rides, right? I mean, that’s what a theme park is. 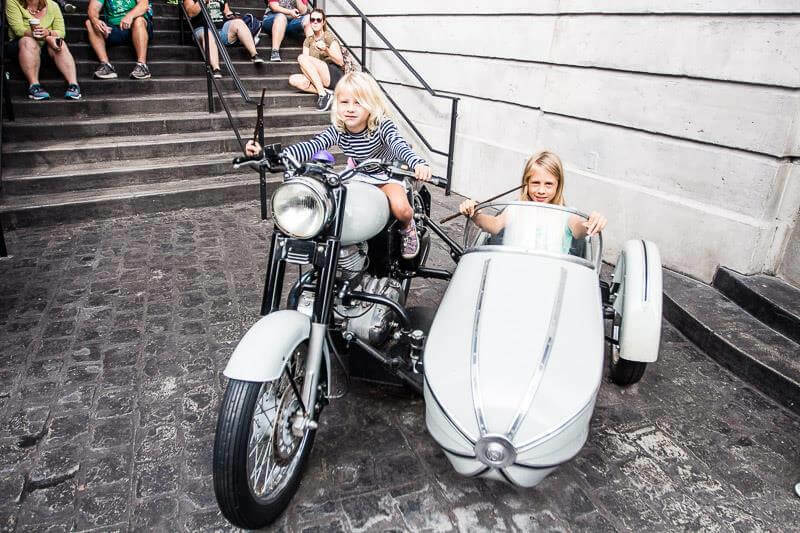 So let’s talk about the one and only ride in Diagon Alley Universal Studios – the Harry Potter ride. To be more precise, it’s called Harry Potter and the Escape from Gringotts. Come on, we’ve all heard of this ride at some point from the queue, the goblins, roller coaster thrill and a LOT more. I love the Gringotts ride because you go underground in the Gringotts Bank ( bank for witches and wizards) where you experience the real danger of that bank. lol. Spoiler alert without revealing too much: If you’re not a fan, or are scared of roller coasters or something, don’t do this ride. It spins and turns everywhere so if motion sickness is your thing you might want to skip it. I know, there are a LOT of motion sickness and simulator rides at Universal Studios, but it’s all based on movies so what can ya do?! You will not be bored waiting in the Gringotts queue. 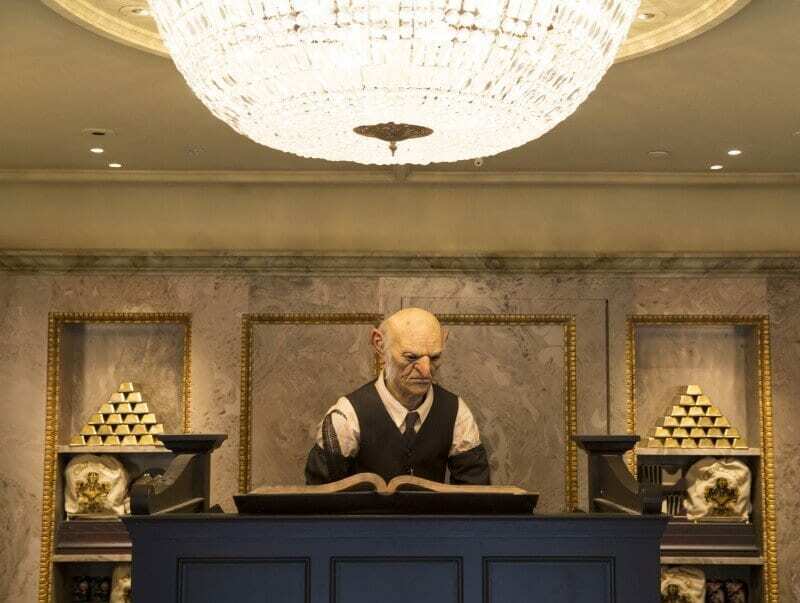 You enter the lobby of Gringott bank where all the Goblins are working at their desks. Apart from watching them at walk you can talk to them. They look up at you and give you a weird look and a hilarious response. I won’t spoil that one for you. Do not miss the Gringotts Money Exchange tucked in a corner near the ride. I don’t know how it did it, but the elf reprimanded Savannah for monkey swinging around the bars. It was so funny. I guess the Hogwarts Express is a ride, since there is 3D windows and it looks like you are travelling to Hogwarts. 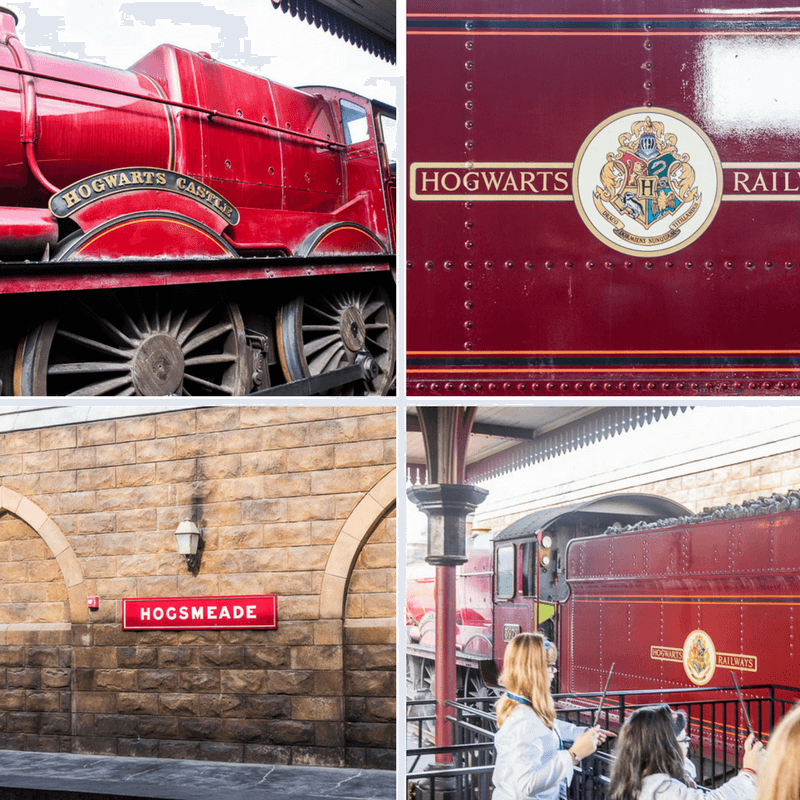 (Hogsmeade in Islands of Adventure Hogwarts Express takes you from Harry Potter World in Universal Studios, to Harry Potter world in Islands of Adventure, so you don’t have to do the long walk from park to park.) – more information in Islands of Adventure post. 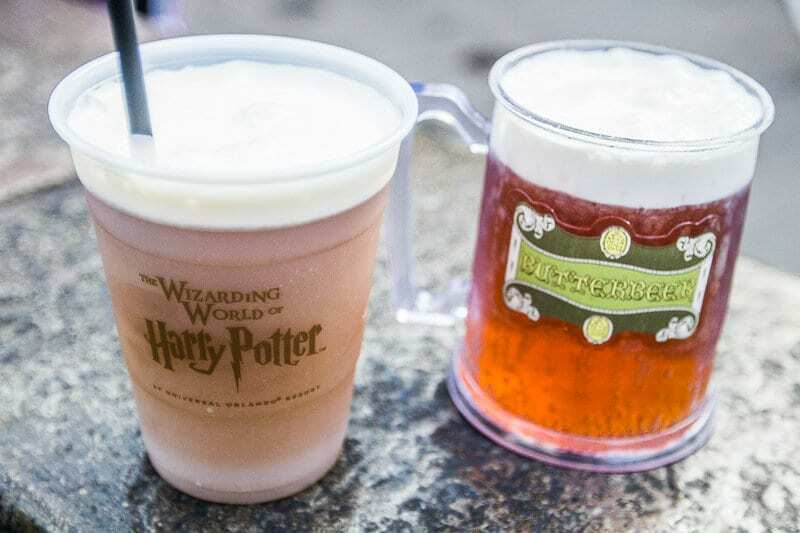 First, let’s start with butterbeer. I’ll quickly run through what it is just in case you didn’t see my Islands of Adventure post. Basically, Butterbeer is this delicious Harry Potter drink made up of: Cream Soda, Butterscotch and marshmallow froth. Yum!!! And yes, it’s alcohol – free. Butterbeer ice-cream – it’s delicous! 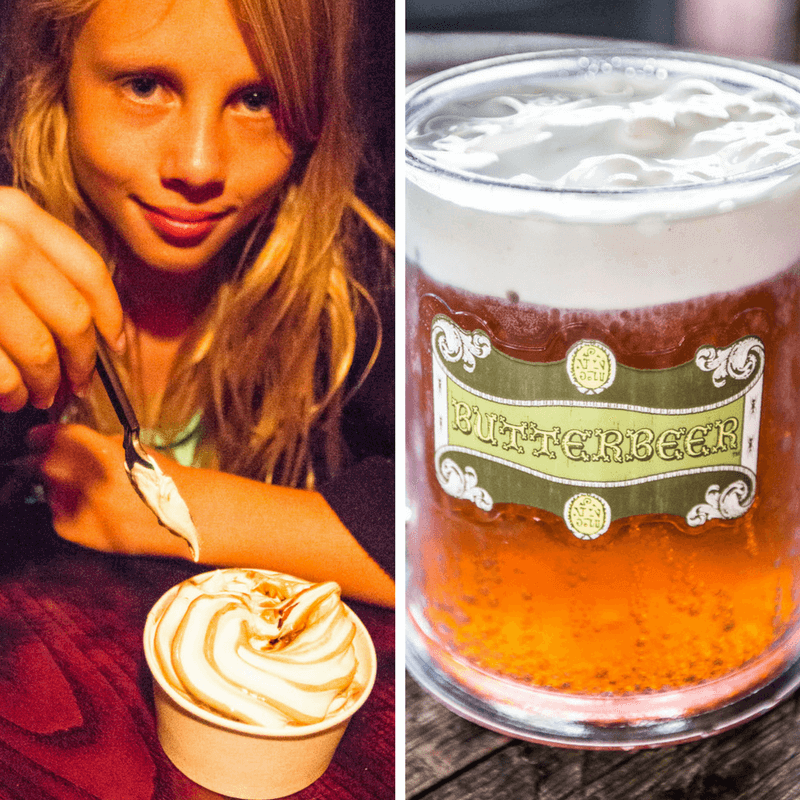 Potted cream butterbeer – unfortunately, we didn’t know about this at the time. but it’s supposed to be good! 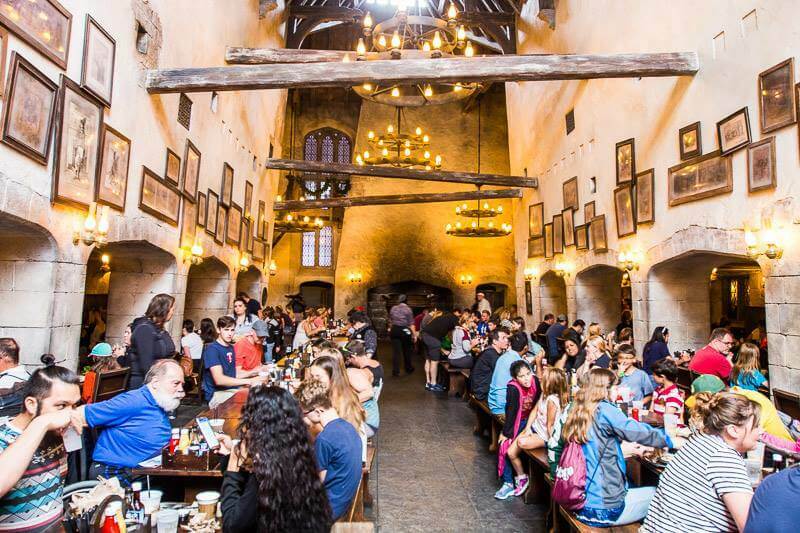 You can usually get butterbeer in: The Leaky Couldren, The Three Broomsticks, Hogs Head and carts around the parks. Now let’s talk about food in Daigon Alley, Universal Studios. The food is OK, but not the best. Me and Mum, ( Caz)- shared a Bangers and Mash, wich was pretty good. Unfortunately, I forgot what Savannah (let’s guess. Um nuggets!) and Dad, ( Craig) had, so let’s just move on. 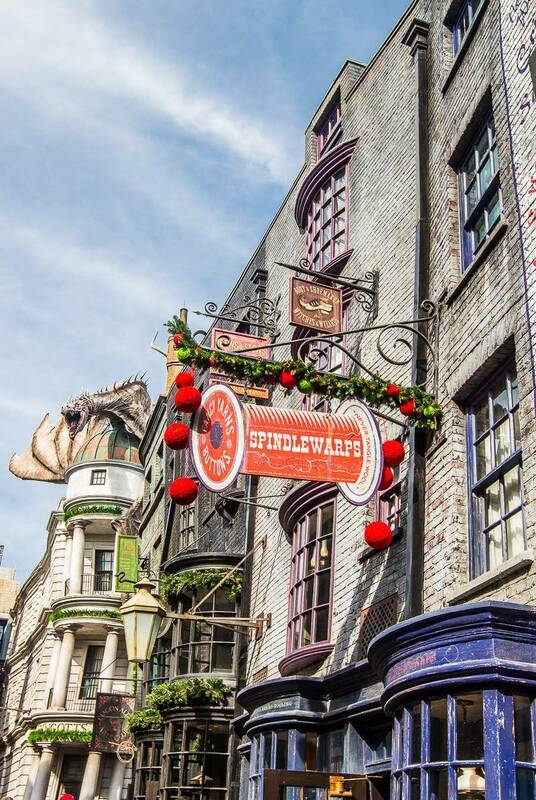 My experience in Diagon Alley was awesome!! Like the detail and everything is on POINT. To the dragon on top of the Gringotts bank, WHICH BY THE WAY BLOWS FIRE OUT OF IT’S MOUTH EVERY NOW AND THEN. And also all the stores, so it feels like you are shopping for school supplies for Hogwarts. And Ollivanders, where you can buy your very first wand!. Ok, quick information about Ollivanders. Ollivanders is super popular. 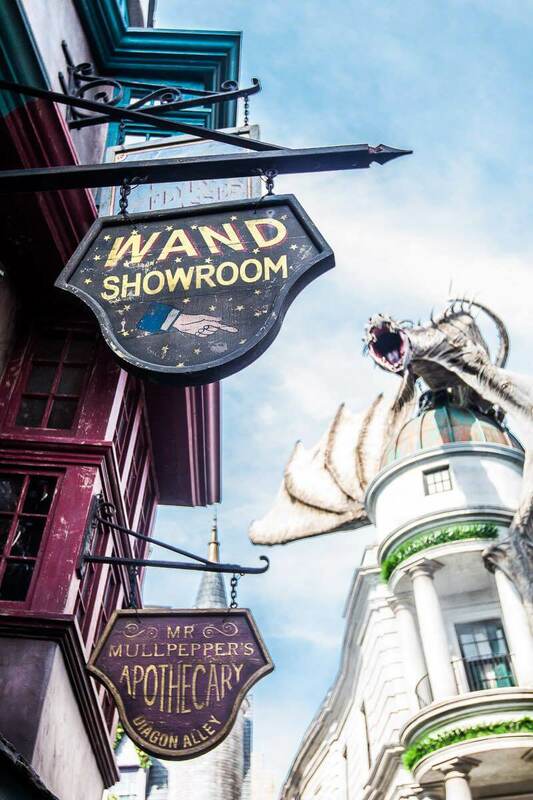 Lines will be out the door and you’ll be jostling with strangers to find your perfect wand. 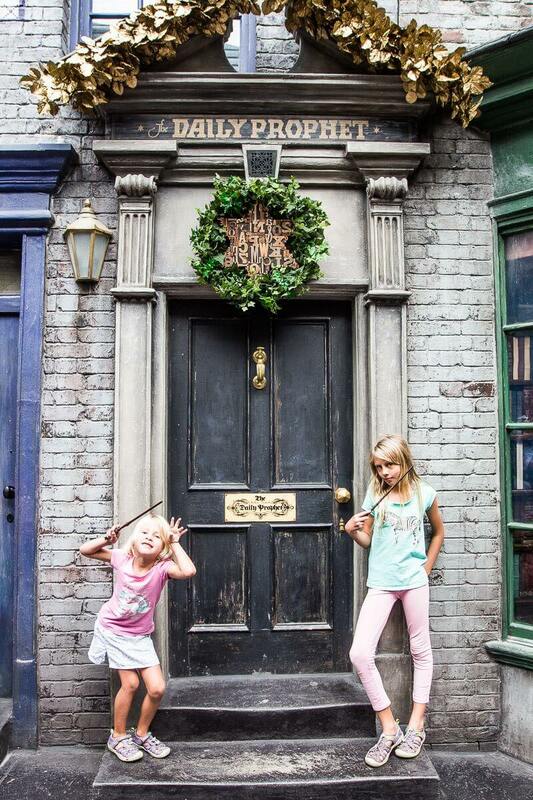 I bought Hermione’s wand, and Savannah bought Luna’s. Mum and Dad treated us with the interactive wands that cost $48 EACH!! But if you think about it, it’s kinda worth it since you get to run around the park doing spells and making objects move. But there are cheaper wands (that are absent of magic) that cost around $24. 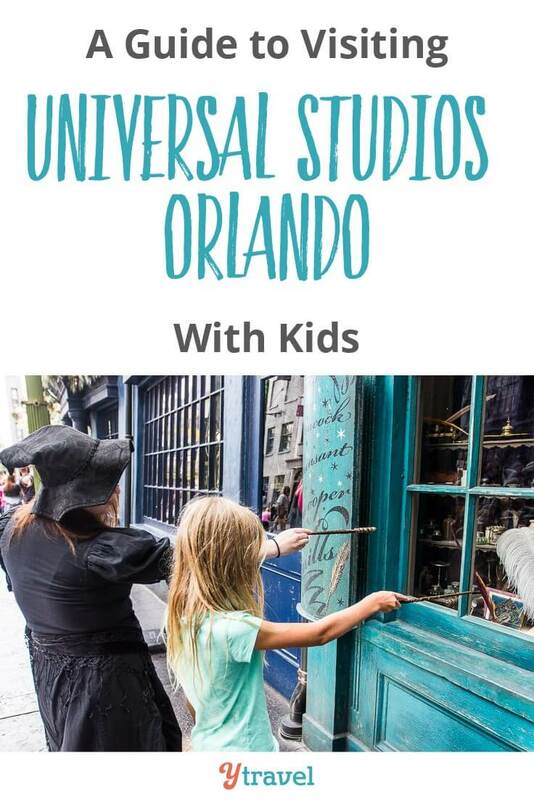 There is also an experience where you can go into a room with about 30 other people and meet Ollivander. He chooses ONE person – (unfortunately, it wasn’t me) to go up to the Ollivanders desk, where he chooses three wands for you. You try each one out, and do a spell. Two of the wands are not for you, but the last one is. The light shines on you like it did to Harry Potter. 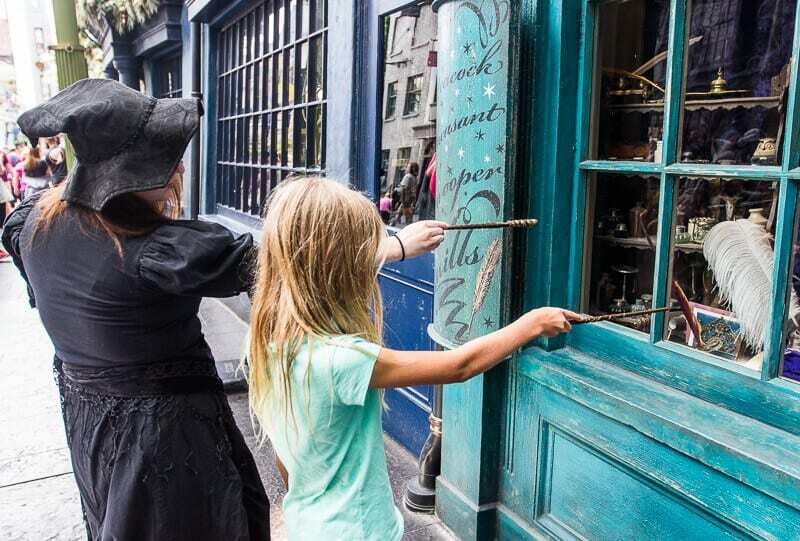 But, the only non-magical thing about this experience is, yes, you still have to pay for the wand. Anyway, it was awesome coming to Diagon Alley! Again, the detail and scenery is amazing, and makes you feel like you’re in the booksmovies! Here are the Harry Potter books and movies. Now go start consuming! 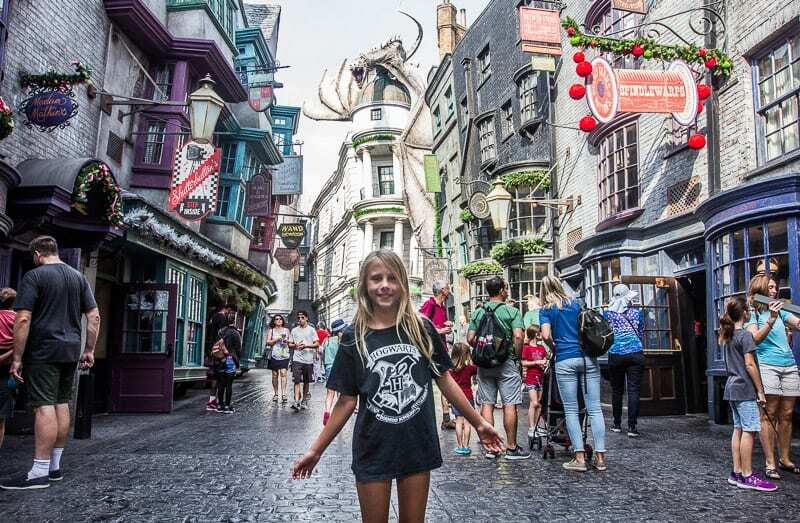 Obviously, there is more than just Harry Potter in Universal Studios. But like any of that matters. This section is pretty good, because it had some pretty awesome rides. One of my favourites is Revenge of the Mummy. 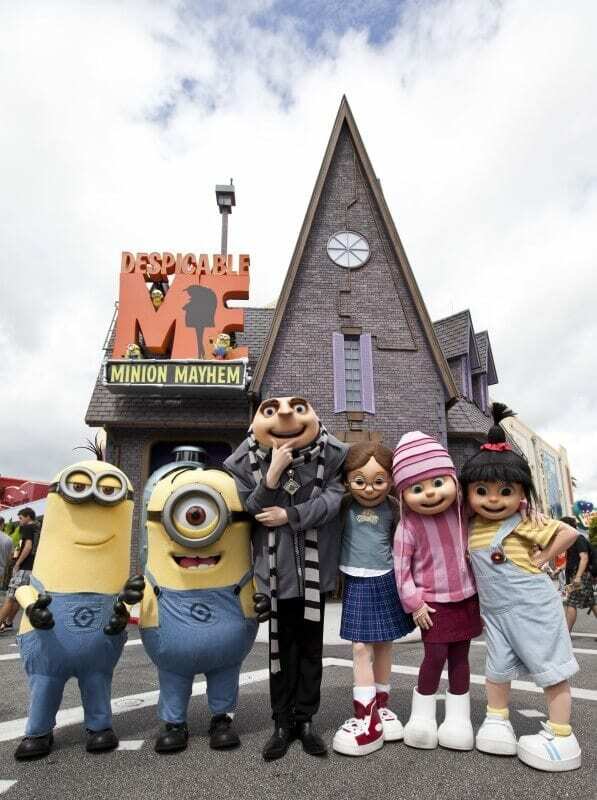 Don’t miss it if you visit Universal Studios. It’s basically a super fun indoor, in the dark roller coaster. 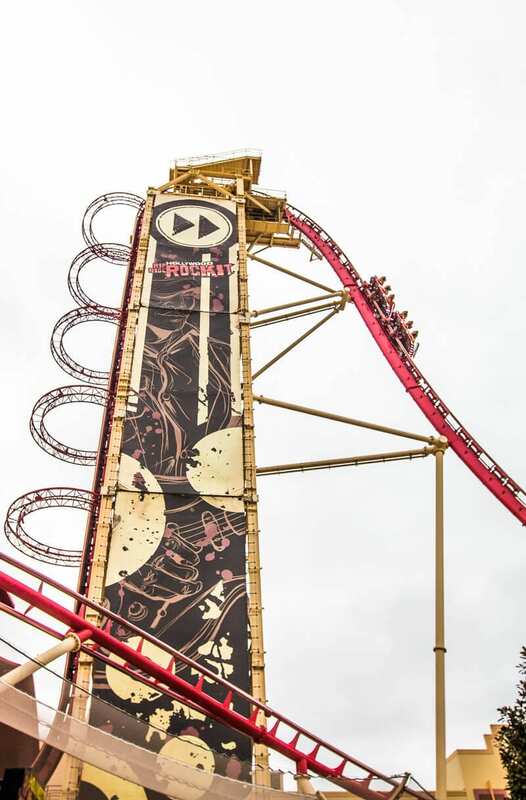 I mean, it is pretty rough and has some drops, (it also goes backwards) So if you’re scared, or not a fan of roller coasters you might not wanna do this rides. Another fun ride is: Race Through New York starring Jimmy Fallon. You also go under water and almost get eaten by a shark (: The only disappointment with this ride is that we waited really long, not in lines, but in a room. You go into a room and workers give you a colour, and when they call your colour out, you go in the lines. But we waited 40 mins for our colour to be called. When they finally did, we waited for 30 mins for crew members to let us on the ride.There wasn’t big lines there just wasn’t any crew members around. But again, I still recommend this ride if you have patience. Another attraction is The Blue Brothers Show which we missed. We didn’t watch any of the shows because we only had a day at Universal Studios. Also people like Men in Black alien attack ride. Savannah loved this land perfect for younger ones. Basically it’s where all the calm rides are. But I still had fun since there was a small roller coaster called: Woody Woodpecker’s Nuthouse Coaster. This kid-friendly coaster is only about a 60 second long ride. It’s pretty calm so it’s good if your child is trying their first coaster. Savannah loved this ride and would do it again. Another attraction is: E.T. Adventure. This is an indoor ride, and again is good for young children. You sit on bikes (don’t worry, you don’t have to pedal) Your bike flies through the E.T. world as you help him find home. 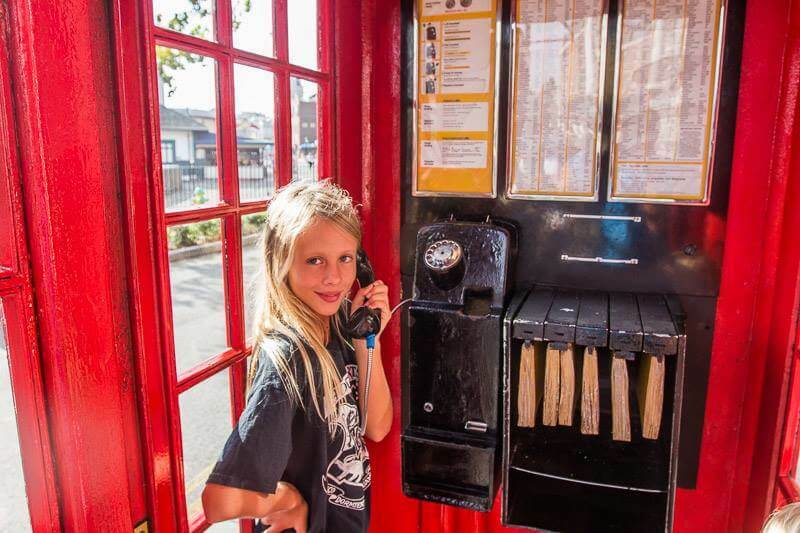 This is an old, interesting attraction but it’s still fun. Again, Savannah gives her approval! A fun attraction to try is: Curious George Goes to Town, which is a playground with water squirters, buckets filled with water splash everyone. But if you want to stay dry, you can play in the Foam Ball Playground. We didn’t do this, but it seems fun! Another fun playground is: Fievel’s Playland, which is themed around an old west town. Some shows that play in this area are: A Day in the Park with Barney, and Animal Actors on Location. If you love the Simpsons, come here. You can experience being in Springfield, and go on rides at the same time. There is also some food options that are themed around the Simpsons. Some are: Duff Brewery, Lard Lad doughnuts, Bumblebee Man’s Tacos and Moe’s Tavern. 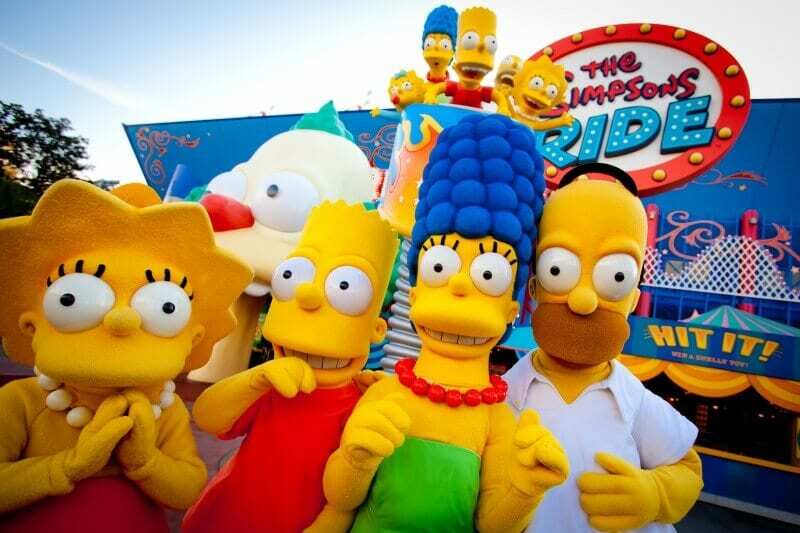 The main ride in this land is: The Simpsons Ride. This ride is a simulator and motion sickness ride. You are in a roller coaster cart, in front of a HUGE screen, and watch the Simpsons go down a roller coaster. It’s supposed to make it feel like you are on the roller coaster, too. This ride was disappointing to me, and the rest of the family. ( And guess what, Savannah went on it too!) I usually like simulators, but this one was too rough, I thought i was going to be sick. But if you like that stuff, try this ride out. See what you think. The only attraction in this land is Universal Orlando’s Horror Make-up show. Now for some more Universal Studios Orlando fun rides!! One of my favourites rides at Universal Studios is the furious supercharged Hollywood Rip Ride Rockit. This is a fun Roller Coaster. ( not as good as the Hulk though) The scariest part of this coaster, is that it has a vertical lift. If you’re not sure what that is, you know when you go down a vertical drop? Well it’s that, but up. Honestly I thought I was gonna fall out of my seat!! Then there is a 90 degree angle drop. Now apparently you don’t actually go upside down, ( because the lab bar is across your waist, and not your shoulders and chest) – but it feels like it. Anyway, it’s a super long, fast coaster and I recommend it for people who love Roller Coasters, or just anyone really. I was focusing on making sure that my lap bar was on tight enough so I ran out of time to choose a song. Again, I recommend this ride! This is another simulator ride that we convinced Savannah to go on. I think she liked it as it wasn’t as rough as other simulators. You go on a mission to get the present back that was missing for Gru. We also came across a cool Despicable Me parade in the streets. We loved watching Grus dancing antics. And the last Attraction in this land is: Transformers: The ride – 3D. This ride is right next to Minion Mayhem. So you could do one and go straight to the other, because these rides can get pretty long lines. We didn’t do this ride but after we came out of Minion Mayhem a Transformer came out for photos. This ride is a 3D dark ride, and the ride vehicles sit on a motion platform, which follow a 2,000 foot – long track. To recap, here are my favourite rides in Universal Studios Orlando. As I’ve said before, you have to go on them. Stay tuned because a 2018 Universal Studios Florida and Universal Anaheim is coming up for us in the next few weeks. As well as Disneyland. We’re still yet to do Disney World (which I think will be better). Follow the journey on Instagram. Our wands are packed! Each ride and attraction has a child swap area where one member of your party can wait with the little ones while the rest of your party rides. This is how I got to have so many turns on each ride. It saved me plenty of wait time to go on rides again. It was awesome. If you are planning on eating at least 2 meals at the park, then consider purchasing a Meal Plan. You’ll save some cash as long as you eat two meals. One of the things that really impressed me about the park (besides how clean it was) is how yummy and diverse the food is! There’s something for every age and it’s gooo-ood food! There is also Universal Citywalk which has loads of restaurants. Not part of the meal plan though! It also has the famous Blue Man Group show. 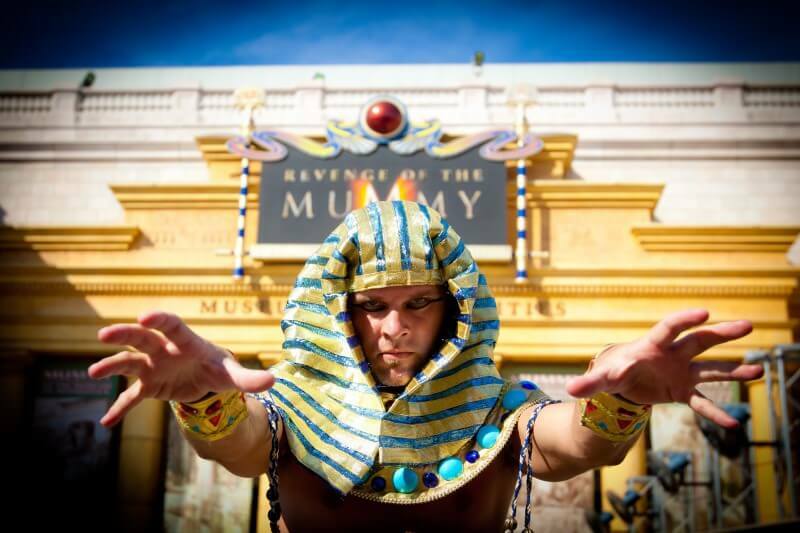 Be sure to Check Universal Studios Orlando hours as they do differ and sometimes the park may close an hour later. It closed an hour later than normal on the Friday night we visited. Head straight to Diagon Alley for opening as it gets so busy. Towards the end of the night at closing it also tends to be much quieter. You may even get that solitary photo of just you and the dragon. I wouldn’t go to Universal in Summer, or holiday breaks, because that’s when it could be busiest. Especially Halloween time because that’s when Universal does Halloween Horror Nights. And winter is busy, especially around Christmas time. Apparently the quietest time to visit Universal Studios is from January to early February, April to May, September to Thanksgiving. We went in early November just after the Halloween Horror Nights. Luckily when we went, it wasn’t very busy. The longest line we saw was 40 mins. Now if you go to Universal Studios Florida, I definitely recommend you buy Universal Express Passes. Universal Orlando Resort gets very busy and the ride lines can get up to two hours long, and no one wants to wait in lines that long. We got eight of the unlimited express passes. So we basically didn’t run out. We also had The Park Hopper tickets so we could go from park to park and use the same one. It is expensive, but worth it. If you don’t have the money, or don’t want to spend $80 to $100 per pass, you could get a normal fast passes but you can only use them once. f you stay on-site at certain hotels you get free Universal Express Passes to most rides and attractions, which allows you to skip to the front of the line. If not staying on-site, you can also buy a Universal Express Pass upgrade to your admission ticket when you arrive at the park. 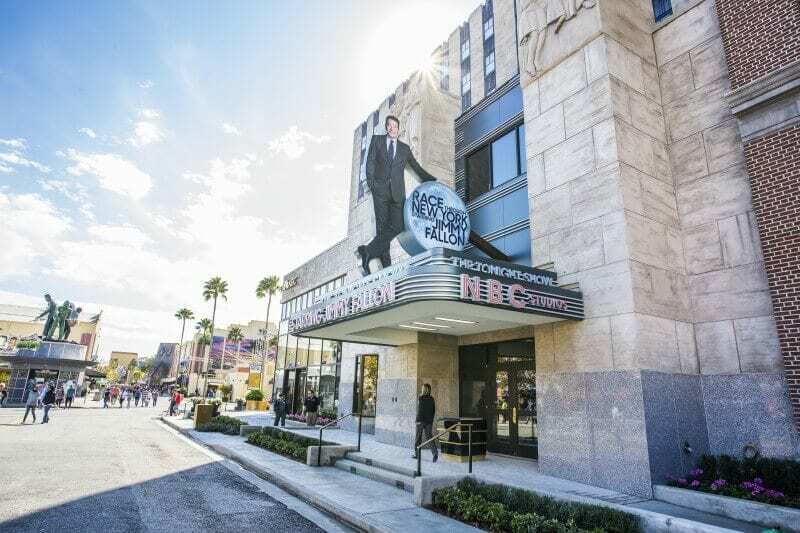 A good tip for saving money and time at Universal Orlando Resort is to stay at one of the on-site hotels. 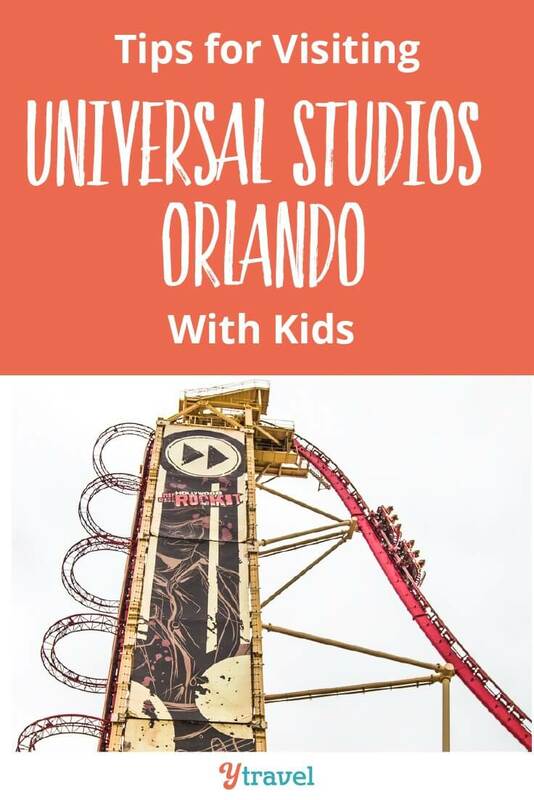 Not only are they close to the three theme parks that make up Universal Orlando, staying at the Universal parks resorts gets you in an hour before the park opens (all resorts) and gives you Universal Express passes (excluding Cabana Bay and Sapphire Falls). 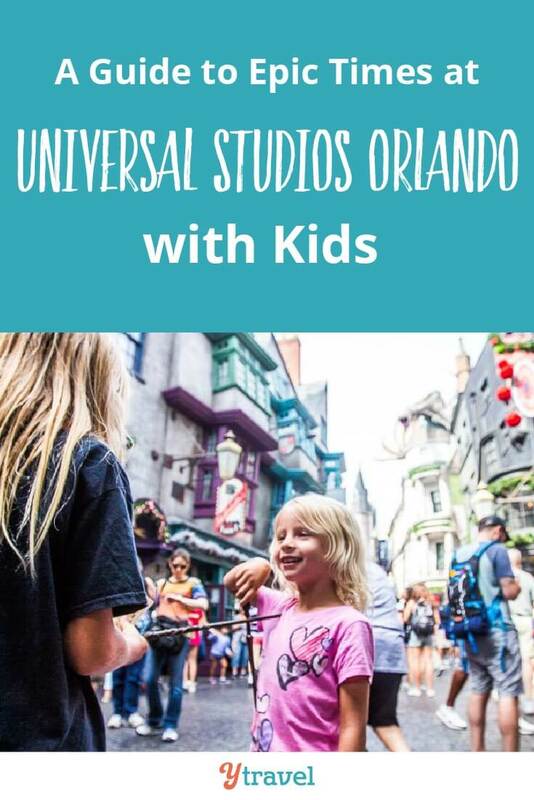 If you stay at a hotel at the Universal Orlando Resort, you can come and go easily back and forth depending on the day and the weather (and the mood of your children). 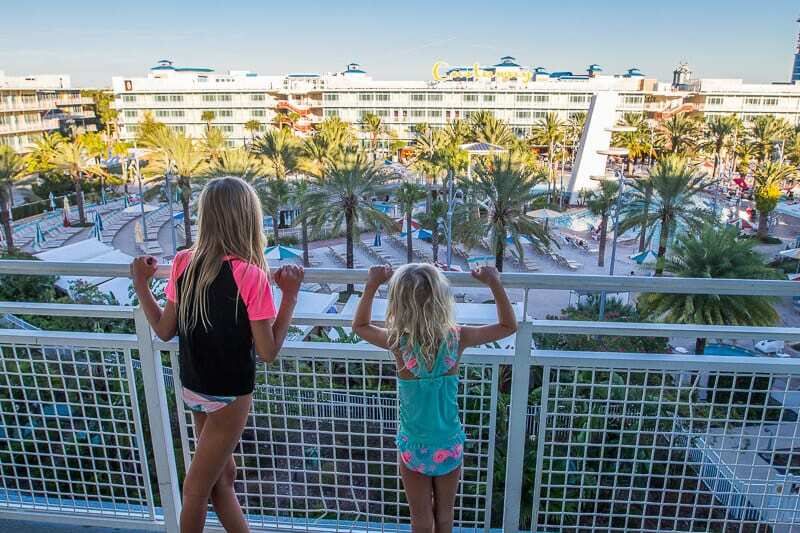 We stayed at the Cabana Bay beach Resort while at Universal Studios. It was a pretty good hotel. So as you can see there is quite a few options. But you don’t have to stay at on of these places to go to the parks. Check out the range of accommodation available in Orlando through Booking.com. 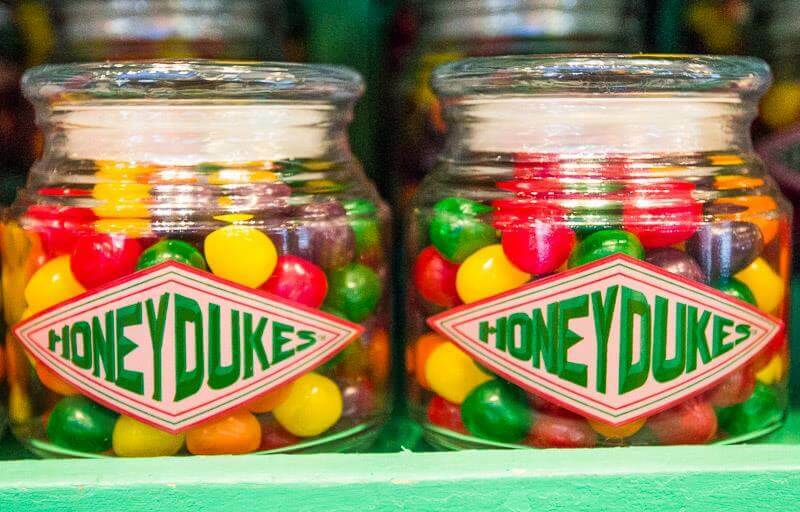 What’s your favorite part of Universal Studios? Do you have any questions?